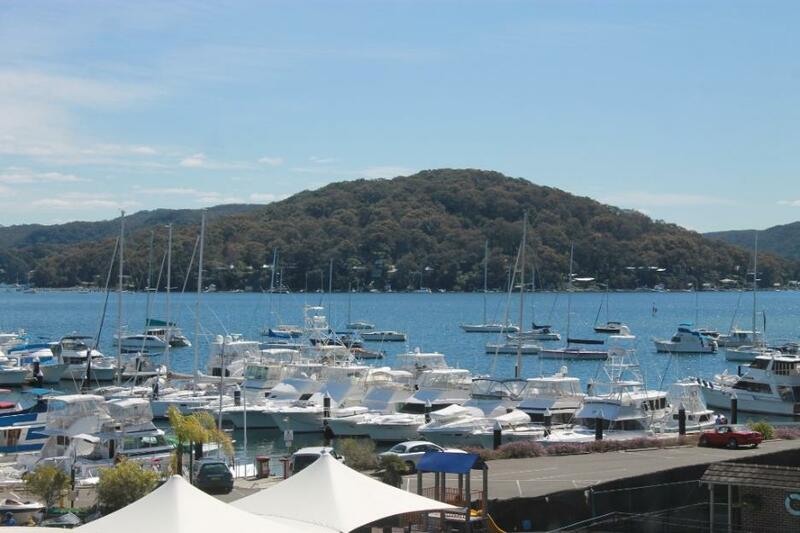 A brilliant early Spring day made the estuary of Pittwater beside the Royal Motor Yacht Club at Newport shine on Wednesday. 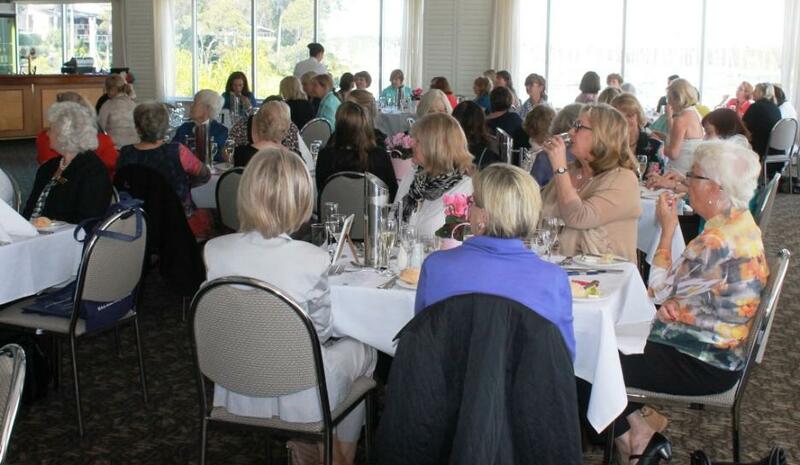 Beautiful food, lovely wines and some bright Spring colours in fashion and stunning wearable art from Robyn Park ensured those who attended this second last RMYC Ladies Luncheon for 2014 enjoyed great company in a wonderful atmosphere. The last for the year will take place on Wednesday 19th of November with Pittwater's own Honourable Bronwyn Bishop, Federal representative for Mackellar and Speaker of the House slated as the lady who will give the final talk for 2014. As the Wednesday afternoon Sailing Series played out front of the clubhouse, a passionate address from the Chairperson of the Pittwater Friends of Soibada, Tamara Sloper Harding, introduced an insight into how this community organisation began and all it is set to achieve for the people in the village and sucos of Soibada. Good afternoon Ladies, it is certainly an honour to be here to talk with you today about something very close to my heart - Pittwater’s sister village in Timor Leste, East Timor as you may know it. I have hoped to come to one of these lunches for quite some time but I never imagined that it would be in this capacity! I am quite daunted when I reflect on some of the speakers that have gone before me and at first I was a little reluctant to come and speak! When I thought about it though, my fear of standing here, in front of you all, is the opposite of the message I try to convey when telling the story of my road to Soibada. I am an ordinary person – but ordinary people can do things that will change the world. Maybe not change on a grand scale. However, we can all make a difference for at least one other person. We don’t need to be famous. We don’t need to be rich. We just need to overcome our fear and put ourselves “out there” and in my case public speaking. So thank you for giving me this opportunity. I will tell you about Pittwater’s sister village Soibada in Timor Leste, a bit about my background, what has drawn me, and others in our community, to this place and the incredible needs there. Every April, as a nation we celebrate ANZAC Day. The Spirit of ANZAC is an intangible thing. It is an unseen, unpredictable, unquenchable thirst for justice, freedom and peace. It is a phrase often used to describe actions or qualities of people or groups. However, despite being elusive, the Spirit of ANZAC is a cornerstone which underpins our Australian image, way of life and indeed is an integral part of our heritage. ANZAC day reminds us that wars are to be avoided, but when necessary we must stand up for our values. It requires us to reflect on the past with pride, but also to look ahead and build on the achievements of our predecessors. By displaying the characteristics of the ANZAC spirit, comradeship, unselfishness, courage and tenacity of spirit, we can enrich the lives of many. It is my own experience of conflict that has led me to where I am today and I must seek that spirit of ANZAC within myself, and within others, to live out what I see as my calling. In fact, this project came about as a result of the enthusiasm of some primary school students when I visited them to talk about ANZAC Day and peace keeping. A couple of times a year I visit Soibada in Timor Leste. (Sometimes called East Timor) It is a rather unusual place for a mother of four young children to choose to visit. In fact, my involvement with that country began not as a choice, but it has evolved into something I feel is an integral part of my destiny. In 1999 I began a journey, a journey I wasn’t too keen on taking at the time, but it was something that changed the course of my life and had far reaching consequences. It was the path to a friendship that was to develop not just between me and the small village of Soibada in Timor Leste but a friendship that has grown to embrace my entire community on the Northern Beaches of Sydney and almost everyone I come in contact with (as my friends will attest). I was in the full time Navy for almost 19 years and am still in the Navy Reserve. I am now a full time mother of four. I can tell you that this job is more challenging than anything I ever did in the Navy and without the glory or the medals or even the pay! Being an older mother and after the excitement and thrills of my career I have found it difficult to settle down to domesticity. I have no time for paid employment (much to my family’s disappointment!) yet there are moments in my day that can be put to good use for a greater benefit. That is where my involvement with the people in the small village of Soibada in Timor Leste fits in. When I served there in 1999 with INTERFET as an Intelligence Officer attached to the ground force conditions were extremely basic and the environment was high threat. I received the phone call telling me to deploy during our wedding reception – just before the speeches! 2014 has been the busiest and most productive year yet for Pittwater Friends of Soibada. We remain true to the terms of our friendship agreement and do not impose our judgement or ideas on the community of Soibada. Instead, we do our best to respond to their requests and attempt to assist them to achieve sustainable development and change in accordance with the needs identified by their own community. I recently met with the village chiefs and they provided me with an extensive list of needs. Truly listening to the Soibada community, understanding the culture and reading between the lines can be a challenge in itself for our volunteers. When we visit Soibada and see how very little they have, in comparison to us here in Australia, it is natural for us to draw our own conclusions, based on our lifestyles, as to what should be done in the village. As volunteers and guests we must remain humble and listen carefully not just to the verbal messages of the people but also be aware of the many complex things that remain unspoken. Timor Leste, and Australia’s relationship with our nearest neighbour, has been in the news a lot recently and unfortunately it is not always something we can be proud of. As Australians we must endeavour to remember the debt we have to the Timorese people. It is a debt that so many of us are oblivious to. Australia has had ties to East Timor for far longer than most people are aware. – In WW2 over 40,000 East Timorese died as a result of assisting Australia. We promised them friendship and protection ……. And we let them down. The “Battle for Timor is not a story you find on our televisions. It’s not in our popular newspapers. It’s not in our school curriculums. Thousands of Australians are totally ignorant of this unique relationship. In 1941, when the 2nd world war spread rapidly into the Pacific a few hundred specially trained Australian commandos, “Sparrow Force”, were sent to Portuguese Timor to protect Darwin from Japanese invasion. This had the effect of compelling more Japanese forces to engage in combat on Timor. The Australians were befriended by the local people, who fed, housed and nursed them. They survived only because of the generosity of the East Timorese who sent their young sons, aged ten to sixteen years, to guide, to feed them - and to spy for them. The Australian soldiers were eventually withdrawn from Timor and they described the day they left Timor as their worst, because they knew what awaited their loyal Timorese friends. Over 40,000 Timorese were murdered by the Japanese in reprisal. No other nation has lost so many civilians as a result of helping Australian soldiers. In 1944, the RAAF also dropped leaflets over Portuguese Timor promising liberation from Japanese forces and stating that Australia would never forget the people of Timor. Australia forgot those promises. We forgot them in 1975 when the Indonesians invaded, killing at least 200,000 East Timorese. Today, Timor-Leste, one of our closest neighbours, only one hour’s flight from Darwin, one of the world’s newest nations remains the poorest country in the region. Years on from independence, the rural areas are still among the most disadvantaged places on the face of the earth. Almost two-thirds of its adult population is illiterate. Over 50% of the population is under 15 years of age. Its children face extraordinary challenges. One in ten babies dies before reaching their first birthday. Timorese women are ten times more likely to die during child birth than Australian women. Only one in 100 teachers now in East Timor’s schools has had any training. 90 per cent of the school buildings and related infrastructure have been destroyed. Soibada is very remote, and breathtakingly beautiful, high in the mountains in central Timor. It was originally built by the Portuguese. From space you can identify the layout of the old Portuguese town which was intended to become the capital of Portuguese Timor. The Portuguese colonial buildings would have been glorious in their time and they still retain a certain crumbling faded beauty. However, they are quite deteriorated and in need of major repairs. Although desperate for renovation, the church is striking and imparts a sense of quiet spirituality. There are wonderful statues and paintings decorating the walls. In 1898 the Portuguese established a college at Soibada. This was the only secondary school in Timor, and overtime it became the leading school/college. Many of Timor Leste’s school teachers, lay church and government workers trained there during the first few decades of the 1900s. Timor Leste’s current leaders schooled there for at least a few years. Soibada was devastated by past occupation by Indonesian and militia groups and subsequent turmoil following Independence. There are no bridges to Soibada, so during the rainy season the town is completely cut off. The community have been very proactive yet need our support to increase their health, well-being and capacity. Our Community is helping to provide that support for local projects and to build skills that will contribute to the long term independence and sustainability of the village. Soibada is 135km from the capital, Dili. On a good day it takes about five and a half hours to get there by 4 wheel drive on unsurfaced extremely winding roads. This series of interconnected potholes, called a road, is the village’s only link to the outside world. The heartland of Timor Leste has historically been its mountainous interior. However, its rough, jagged, terrain has made it almost impossible for the development of large continuous settlements. Thus, the mountain inhabitants have traditionally lived scattered in small groups. The village of Soibada is a good example of this type of arrangement. Although radiating around the central church, convent and school buildings the village stretches far across the neighbouring ridges and valleys down towards the river. Most structures in Soibada, other than Religious ones, are traditional, with earth floors, split bamboo walls, palm thatch roofs. Evidence of past prosperity lingers. Some homes have cement block walls and rooves of corrugated iron. Compact fields cling to the slopes and homes with impossibly beautiful views perch precariously atop steep and slippery rock faces. The majority of the population in Soibada is subsistence farmers. They produce maize, vanilla, corn, beans, citrus, cassava, potatoes, pumpkins, sweet potatoes, taro, tapioca, carrots, cabbages and avocados. Coffee, candlenuts, and cocoa are also extensive in the highlands, and especially in Soibada ‘s sub-districts. Some villagers also raise livestock, including cattle, water buffalo, goats, sheep, chickens and pigs. Erosion in this wet steep location is exacerbated by heavy grazing. Soibada is made up of many sub villages called sucos. As our relationship with the Soibada community and the Suco Chiefs (sub village leaders) has strengthened over the last couple of years we have gradually gained their trust and understanding. This was a long process. Numerous well intentioned volunteers and aid agencies have visited Timor Leste since Independence with promises and gifts. However, the number of people that actually fulfil those promises is small. This is not through lack of trying. The obstacles and difficulties faced in achieving outcomes in any aid project are numerous. Such things as the dismal conditions of (or absence of) roads, communication and language difficulties, lack of power, water and industry can be the ruination of many well planned projects. We have been presented with list of needs from the Chiefs and communities in each suco. Tasi Fatin is the focus of our projects at the moment. It is about two hours drive further into the mountains from central Soibada. Chief John, is a younger chief, of Chinese Timorese background. Well it just so happens I have an uncle in the industry. Talk about meant to be! So Uncle Bruce and his mate Roger joined our group of volunteers last year to meet Chief John, select a site for the orchard and have a good chat to President Taur Matan Ruak about the Custard Apple Industry. In July of this year we headed back with 24 young trees. • Rebuild and extension of the Primary School, including toilets and a kitchen. • A community garden and relevant training about horticulture and nutrition. • Eco Tourism – now this is an interesting fact and something that makes Tasi Fatin an extra special place. The Independence Guerrillas hid in and around the suco. Evidence of their hideouts, weapons caches and battlegrounds still exist. Historically and culturally this is a significant place. Perfect for trekking – perfect for educational programs. To this end staff of several high schools and I am meeting with World Expeditions later this week to devise a suitable plan. A plan that will benefit both the Tasi Fatin community, and teach our Australian youth about our nearest neighbours amazing history and our involvement in it as a nation. Pittwater Friends of Soibada is gradually linking each school in each suco with a school in Australia. Last year, Tasi Fatin partnered with Sacred Heart school in Mona Vale Sydney. Chief John selected this school from the various profiles I offered him. The children and staff of each school correspond twice a year – our visiting teams act as “postmen”. The Mona Vale community is supporting Tasi Fatin school with resources. The children raise the money themselves to purchase books in Tetum. (We buy them through the Mary McKillop Sisters based in Dili.) Two weeks ago they raised enough money, celebrating Timor Leste’s Independence Day, to buy a TankPro clean water system, including guttering, tanks and water purification equipment. The commitment these young Australians have to their counterparts in Tasi Fatin is strong. It is encouraging to see privileged children appreciate what they have, learn about our neighbours and develop a sense of social justice. Sometimes when the immense scale of this project becomes overwhelming for me, it is encouraging to reflect on the many Australian children who have been touched by it. Children who now have the knowledge and understanding it takes to change the world. For it is children who hold the key to the future. We have many other projects being undertaken throughout Soibada this year. There is potential for eco tourism in Soibada as an industry that could be beneficial to many families in the community. Construction of a Guest House is a priority highlighted by the community. They have asked for our help with raising the funds to build it. It would provide jobs and income – a way of keeping the youth in the village and employed on completion of their schooling. It could accommodate tourists, volunteers, high school students from Australia and NGOs. It could provide a venue for workshops and training. Quotes from local builders have been around $20,000. This would fund construction of a guest house with: ten bedrooms, each sleeping four people, with ensuite bathrooms, a kitchen and large dining area, conference/meeting room, offices (including one for Pittwater Friends of Soibada. Raising the money for this project is a high priority for this year. The benefits of the building would be far reaching and ongoing – so much more than bricks and mortar. Furthermore – it is what the people of the village requested. There are numerous attractions in Soibada and sites of historical and religious significance. There are two medical teams from Pittwater who visited Soibada in July this year. They provided assistance with local medical programs. The Community have requested a new born vaccination program. It is something we are currently investigating through the Timor Leste Minister of Health. Pittwater Friends of Soibada plans to provide a preschool and resource centre for children 2-5 preschool age group. In addition to educational resources and instruction they will be provided with a nutritious well balanced meal and have access to clean water. A mobile facility that could regularly transport resources to the Sucos of Soibada is highly desirable. Last month Pittwater Friends of Soibada had a proposal to fund construction of a preschool approved by Make a Mark Australia. Sanitation is an enormous problem in Soibada. There are around 700 children using (or not) one working toilet in central Soibada school. For some time Brookvale Rotary Club has been working with Friends of Soibada on the Toilet Project. I won’t go into the messy details here (let’s just say I know a lot more about toilets now than I really would like to) but we have overcome numerous obstacles to finally see the project go ahead. Ken Snell from Rotary will be visiting Soibada in July and a local builder will construct the toilets in Soibada school. This will impact far more than just hygiene and health problems. New functioning toilets will enable so many girls who do not leave their homes each month to attend school regularly. The people of Soibada have access to resources and tradesmen. It is a much better use of resources for them to employ local tradesmen and use local products. This way we assist in stimulating the local economy by providing jobs and giving them the means to help themselves. Thus restoring their dignity and giving the people a sense of ownership of the facilities that we fund. We are currently funding educations programs for the community with the assistance of Timorese run NGOs. The Soibada Project aims is to utilize NGOs already based in Timor Leste and staffed by Timorese people. Appropriately trained local educators, nutritionists and other medical staff are better placed for liaising with the community of Soibada. Not just geographically, (saving money that would be spent on airfares for Australian volunteers – money put to better use within the village) but also linguistically and culturally. My life has turned out to be much fuller than I ever imagined and to have a more far reaching impact. I had a wonderful exciting military career but I always hoped for the family I now have. I still have unfulfilled dreams and goals but that is what provides the challenge I need and Soibada plays a large part in that. There have been very many tough times. Times I wondered what on earth I was doing involved in situations and strange places! I was not exactly a conventional military officer! However my eccentricities did prove quite useful on some occasions. The development of the friendship between Pittwater and the village of Soibada is already having very positives implications for both communities. I am very privileged to be involved and we have a fantastic team of volunteers. Without them none of this would be achievable. I am extremely grateful to these people who have since become my friends. They exhibit the true spirit of ANZAC through their mateship and self-sacrifice. This relationship is about far more than raising funds and doing charitable deeds. It is about the growth of lasting friendship and sustainable development. It is about empowering the people of Soibada to resurrect their own village and their lives. The future of Soibada is bright and full of promise. Our goal is not to make the change, but to facilitate the change so that it comes from within the Soibada community. We must enable the people to help themselves and restore the dignity that has been stolen from them during years of oppression. The Soibada project has become a cohesive force in my community. Churches of all denominations, schools, community groups, Pittwater Council, Rotary, Surf Clubs, Nursing Homes, War Veterans Homes, small businesses, it has grown to encompass the wider community. The project is engendering a tremendous amount of support from local media and the general public. It is touching people of all ages in different ways. Not only are we reaching across the sea to Soibada, but we are reaching out beyond our local community and enveloping people from all backgrounds and beliefs in our quest to do something good in the world. It is cohesive and compelling force that is taking on a life of its own. This friendship that has flourished to embrace the entire community at so many different levels has become a fine example of the power of friendship, the ANZAC spirit and the drive for a cause. The ANZAC spirit exists in each of one of us we must, put community before self, be courageous, determined, self-reliant and strong. In this troubled and frightening time we can’t give up hope for a peaceful future and this starts at the grass roots. Ladies, I do need help – your help if you have even a little time. Please spread the word about our friendship and our projects, if you know anyone who would volunteer to assist please give them my details. We need support here in Pittwater too, administrative support, not just on the ground in Soibada. If anyone of you could organise or attend our fundraiser you are actually changing lives! It is only $20 a day to feed the 55 children in the orphanage – so a little goes a long way. Thank you for listening to me today, helping me to overcome some of my fears and strive to be worthy of the memory of those that forged Australia’s national image. View from the Royal Motor Yacht Club on Wednesday, September 17th.